Why do cats love chilling out in boxes so much? Scientists could have the answer | Planet Paper Box Group Inc. While some scientists attempt to solve the mysteries of the universe, others are busy finding out what’s up with cats and their love of boxes. Cat lovers across the country will know the feeling of dejection after being shunned by their pet for a snug shoebox or cardboard container. Exactly why curious cats love to squeeze themselves into tight spaces has remained one of life’s great unanswered questions – until now. As well as being a great place to sleep up to 18 hours a day, our feline friends are attracted to boxes as they offer protection and shelter from predators. 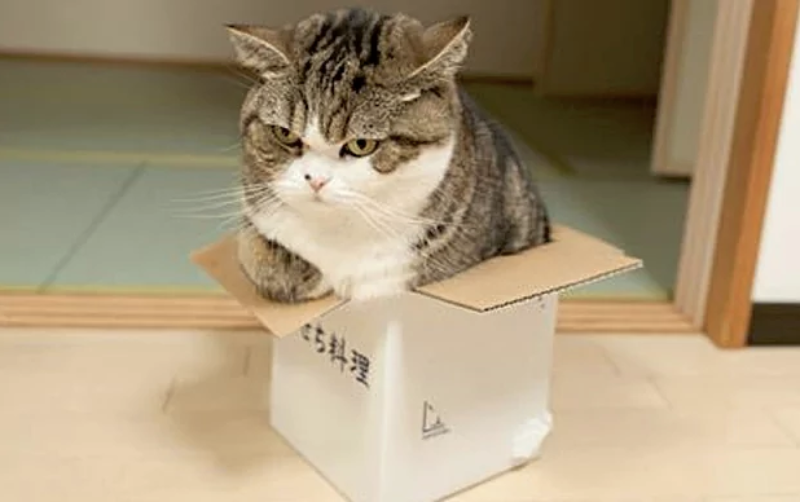 Researchers at the Utrecht University found that cats find comfort and security from chilling out in a cardboard box, reports Wired. Working with a Dutch animal shelter, they separated 19 cats and gave around half access to confined spaces. They found stress levels decreased significantly in the cats that were able to relax in boxes. “Hiding is a behavioural strategy of the species to cope with environmental changes and stressors,” researcher Claudia Vinke told the website. Cats apparently also like to run away from their problems than confront them head-on, which could also help explain such anti-social behaviour. So when Bella or Tigger have a major fall-out with the local neighbourhood bully, they are most likely to hide until all their problems go away, researchers say. But if you thought their obsession with cardboard boxes was strange, check out what happens when you put a circle around your cat. Images and videos of cats refusing to move from inside circles on the floor flooded the internet last year. Some users suggested that cats identify the circles as new territory that needs protecting, while experts believe the cats may simply be checking if the area is safe or not.